Our family of five very active people are planning on visiting Costa Rica during April 10th through April 19th, 2009. Our teens are 13, 15 and 17 – all in excellent physical condition from their sports and normal weight. 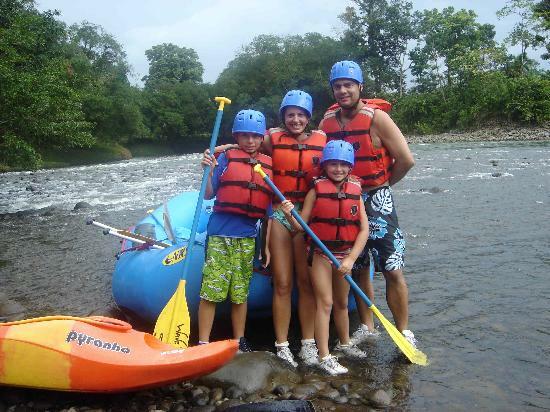 We want to zipline (done before in Mexico), canyoning, try surfing,rainforest / canopy hike and see the volcano in costa rica as well as anything else eco-minded. An active vacation is in order but we would like to minimize hotel switches and possibly have a stay on a beach. I am ready book flights as soon as I get our itinerary together. Can you help with the travel arrangements / tours? We love personalized service instead of big groups!